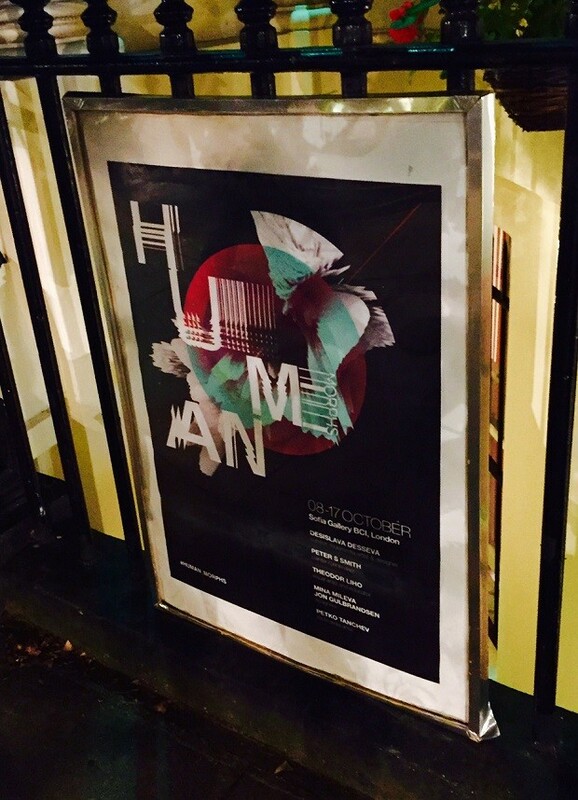 Last night, DESIGN102's very own Jon Gulbrandsen showcased some of his work at the opening of the 'Human Morphs' exhibition at the Sofia Gallery, London. Hosted in the great setting of the Bulgarian Cultural Institute, Jon exhibited work that takes inspiration from geometry, symbolism and mythology. He sets out to create narratives that highlight and/or challenge the way we communicate, and hopes to draw viewers in with his unique sense and use of colour. In my view, Jon more than delivered on this vision, showcasing his digital skills and keen eye for photography in the way he delicately morphs multiple European cities architecture together to create a dream like impression of the mind. Overall the show seems a great success. 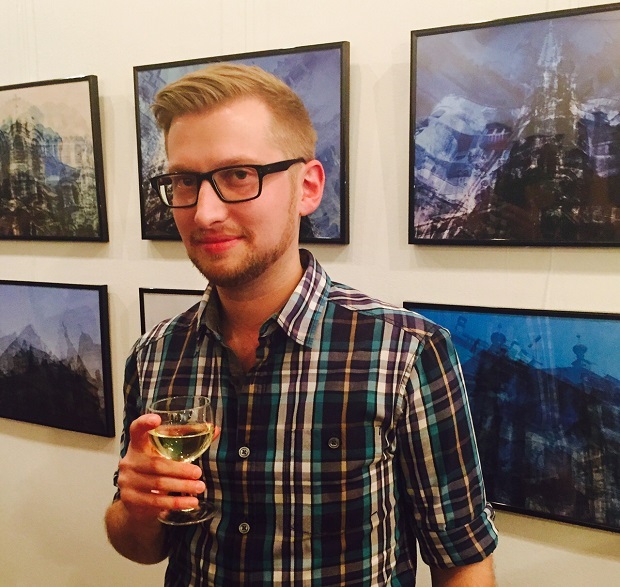 Curated by Desislava Desseva, the show includes work by Desseva herself, as well as Peter S Smith, Theodor Liho, Mina Mileva, and Petko Tanchev – which makes for an engaging and interesting gallery experience. Of course, maintaining our creativity is part of our team ethos – and getting out and about to exhibitions and shows is part of how we do this. So, as you’d expect, some of the DESIGN102 team went along to support Jon, and we’re naturally proud of what he has achieved. The show is on 8-17 October so do try and go along before it closes.